Salem, OR—No matter what part of the state I've traveled to or who I've spoken with, one thing is clear: Oregonians want increased accountability for how their tax dollars are spent. While I believe we can all agree state resources should fund key programs like education and healthcare, it's critical every dollar be spent in an efficient manner that respects taxpayers. To make good on my promise to increase transparency and accountability, I am instituting Audit Alerts. These alerts will highlight concerns that are too urgent to be delayed until an audit's completion. The goal of an Audit Alert is to give policy makers information from which to make an immediate course correction when a program is off track. 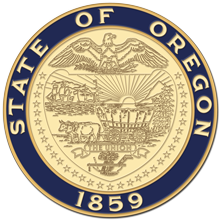 Summary: The Secretary of State auditors have recently discovered that for the past three years, the Oregon Health Authority (OHA) has spent what may total hundreds of millions of state and federal dollars providing benefits for ineligible recipients. •	The Oregon Health Authority is spending as much as $37 million per month on Medicaid benefits for ineligible recipients. •	OHA was given until June 2016 to accomplish the post-Cover-Oregon reenrollment process. Nearly a year later, more than 71,000 Medicaid recipients still have not had their eligibility determined. •	Of those 71,000 recipients, nearly 36,000 have been carried on the books since the months following the Cover Oregon fiasco in 2013. At $430 per month, per recipient, we're talking about a great deal of money. •	OHA failed to disclose its on-going violation of federal eligibility rules until after our audits team was recently tipped off to the situation by an OHA whistleblower. Even after we learned of the problem and requested detailed information, OHA has delayed providing full disclosure. Conclusion: Oregon Legislators right now are considering ways to continue funding the Medicaid Expansion under the Affordable Care Act. To do so requires a myriad of taxes and revenue-raising mechanisms. However, the data they are using to make those decisions should be recalibrated in light of this Audit Alert. As the Legislature struggles to balance the General Fund budget, decisions will be made which could result in teacher layoffs, college tuition increases, and early release of prisoners from our justice system. A hard look at the Oregon Health Authority budget could yield real savings to keep funding for other programs in place. At a minimum, the Legislature must get eligibility of Medicaid recipients under control and in line with state and federal laws. To assist them in their over-sight responsibilities, all 90 legislators have been sent this Audit Alert. As taxpayers, you deserve to be apprised of what's happening in state government. Our office has embraced accountability and transparency as a guiding principle to restore the people's trust in state government. With the help of our great team of professional auditors, you have my commitment to do just that.